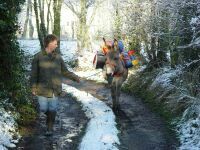 Excursion with a pack donkey. Click here to get more informations. Who would believe that this landscape is in the center of Basse-Normandy? 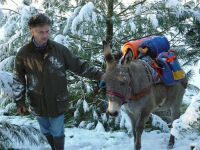 You would like to do that with your donkey? It is possible, come to see us with your animal, and we will educate it for you.